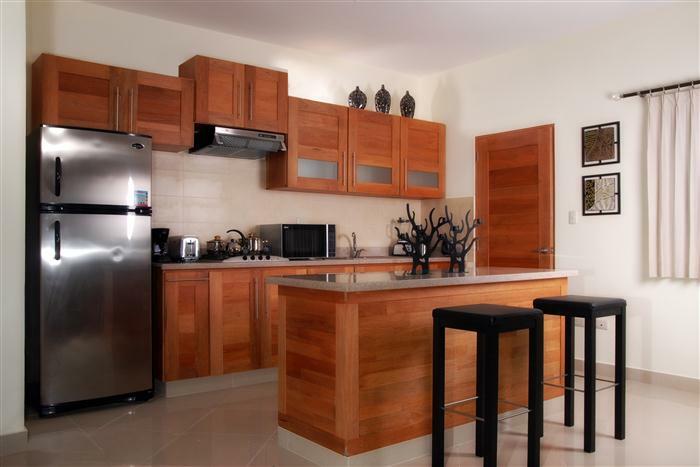 This is a wonderful opportunity to own a superior, high quality, newly built, two bedroom condominium only 500 yards from Cabarete beach. The condominium has 129 sq mtrs (1389 sq ft) of living area and includes such high quality features as:- American brand appliances, mahogany kitchen cabinets and closets, European Aluminium glass doors and windows, imported tiles, granite counter tops, stove with hood fan, fans in the bedrooms and living room, and air conditioning in the master bedroom. The kitchen is to the side of the main dining and living area with separate laundry room next to. 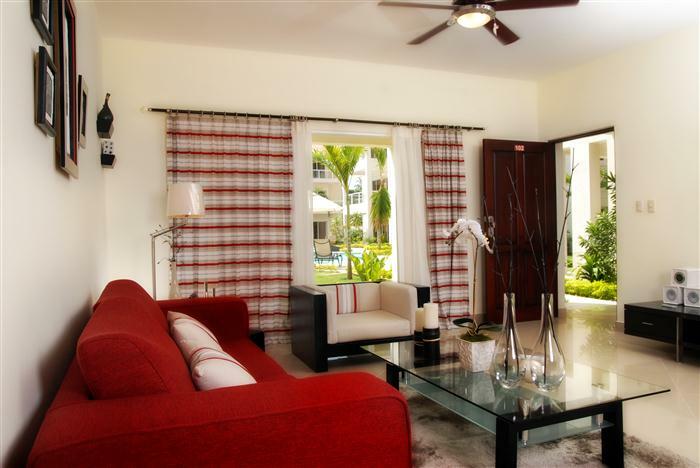 The living area opens onto a terrace where you can sit and enjoy the Dominican sunshine. 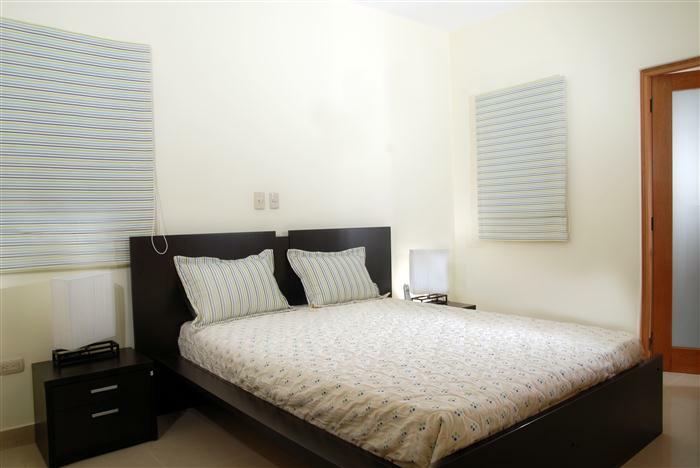 Both bedrooms have en-suite bathrooms and fitted wardrobes and the master bedroom has patio doors leading to a balcony. There is also a half bathroom between the two bedrooms. Outside you have the very large curving community swimming pool with walkway in the middle leading to the foyer that is manned 24 hours a day. 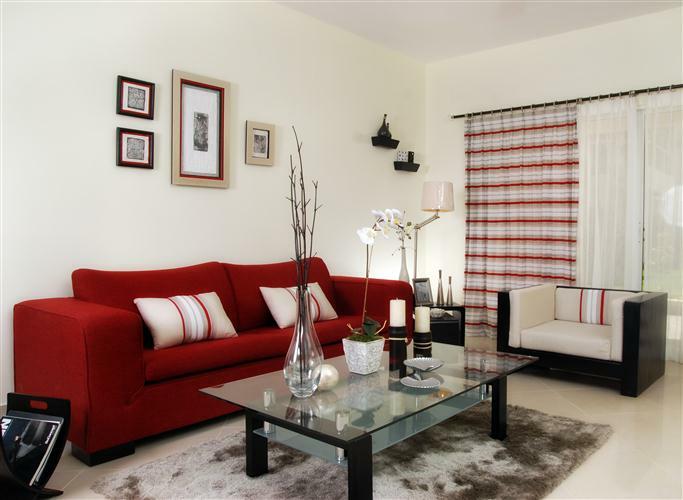 The whole complex has a feeling of elegance and a sense of quality. 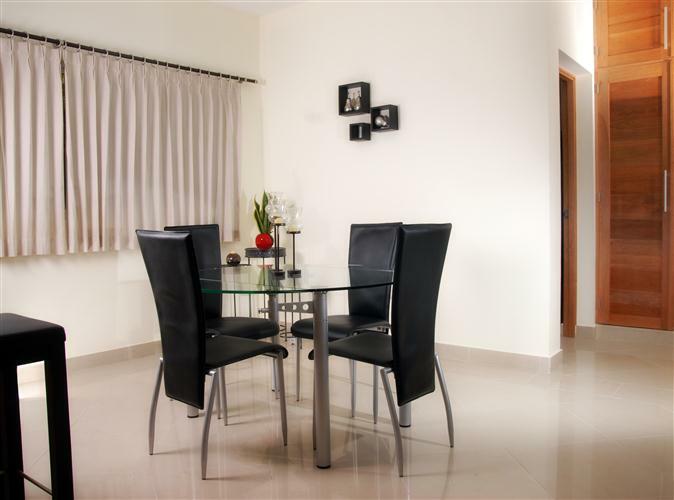 The management are on site and if you choose to they will manage the rental of your apartment. They will ensure they are cleaned and bills paid on your behalf. There is a daily and weekly maid service and weekly maintenance inspection. They make sure that everything is working properly and restock the kitchen with their grocery shopping service. 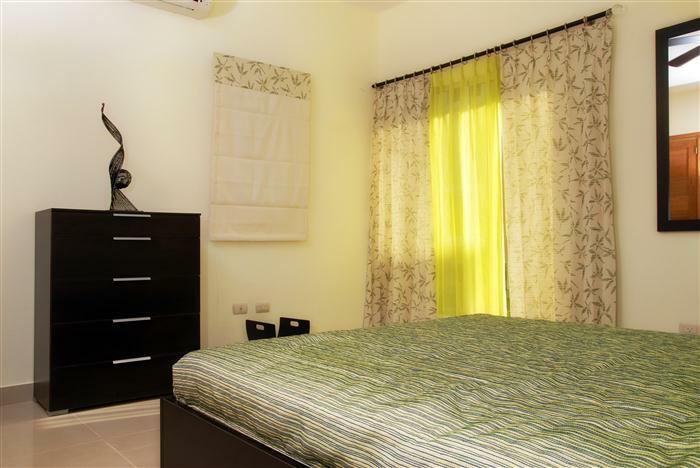 They will transfer to the airport and offer a service, that maybe a first, and that is they will take care of your kids with their babysitting service so that you can enjoy your nights in the vibrant town of Cabarete where there are so many bars and restaurants to choose from. 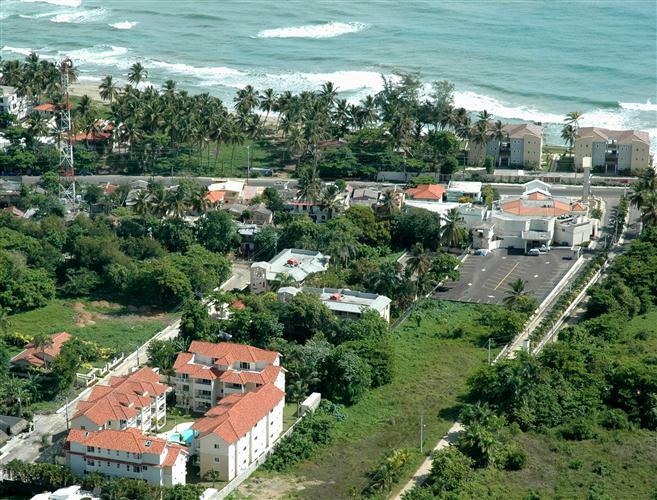 Cabarete is the perfect location for those who enjoy the outdoor life. There is so much to do and see for all ages. You can go riding along deserted beaches or along river paths up into the Cordillera Mountains; canoeing in the lagoons, dinghy sailing off the beach, hiking or cycling along popular countryside tracks, off road buggy rides and go-karting on the road to Puerto Plata, golfing in Playa Dorado or Playa Grande. 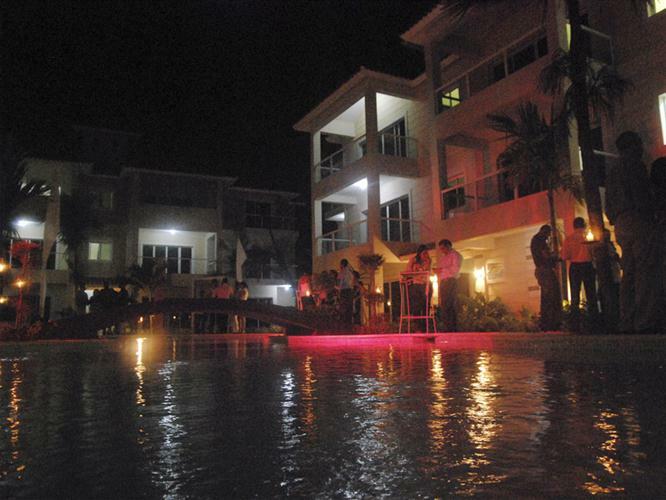 The list is endless and at the end of the day you can return to your apartment and simply ‘chill’ out. 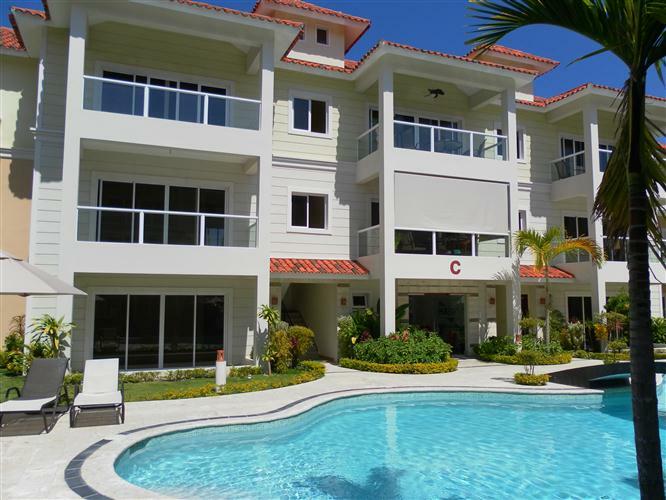 For further information on these high quality apartments, or real estate in the Dominican Republic please complete the ‘Message’ box.